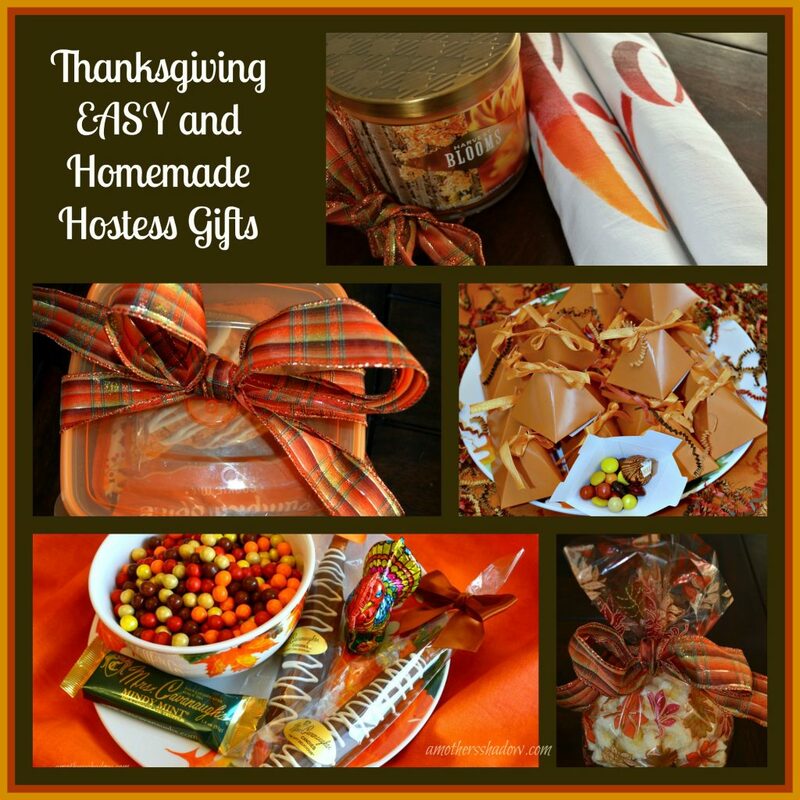 Are you look for some Thanksgiving EASY and Homemade Hostess Gifts to take during the holidays? 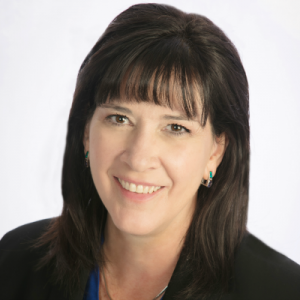 I believe that showing appreciation for someone who has taken the time to invite others over for a meal, pie, or simply to share company goes a long way; especially these days of such little face-to-face communication because of our amazing technology. 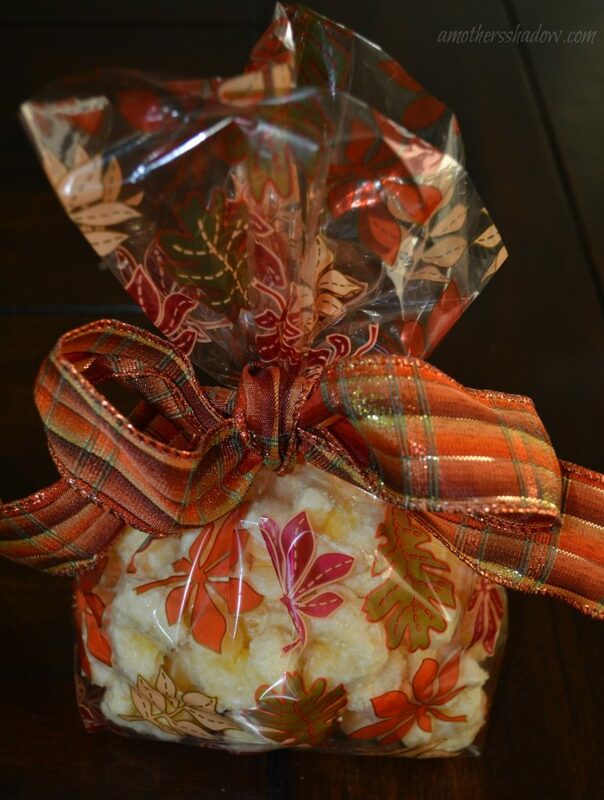 Expressing gratitude like these Thanksgiving EASY and Homemade Hostess Gifts can be inexpensive, quick, usable and very meaningful. 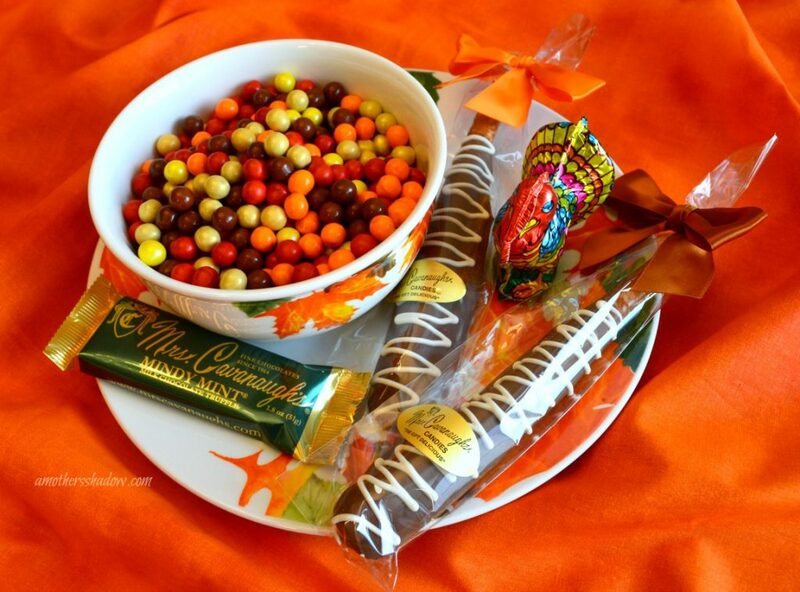 This is SO quick, simply stop at your local candy store and Dollar Tree, or grocery store and pick up a plate and bowl (or just one) and fill it with seasonal candy. 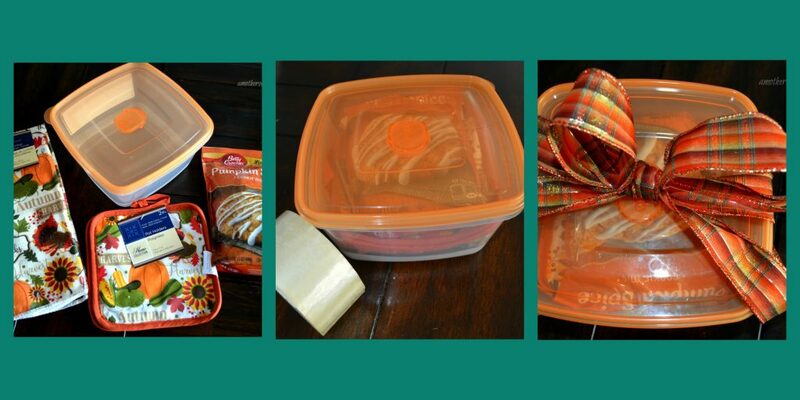 Wrap it all up in the clear cellophane and tie it with a bow. 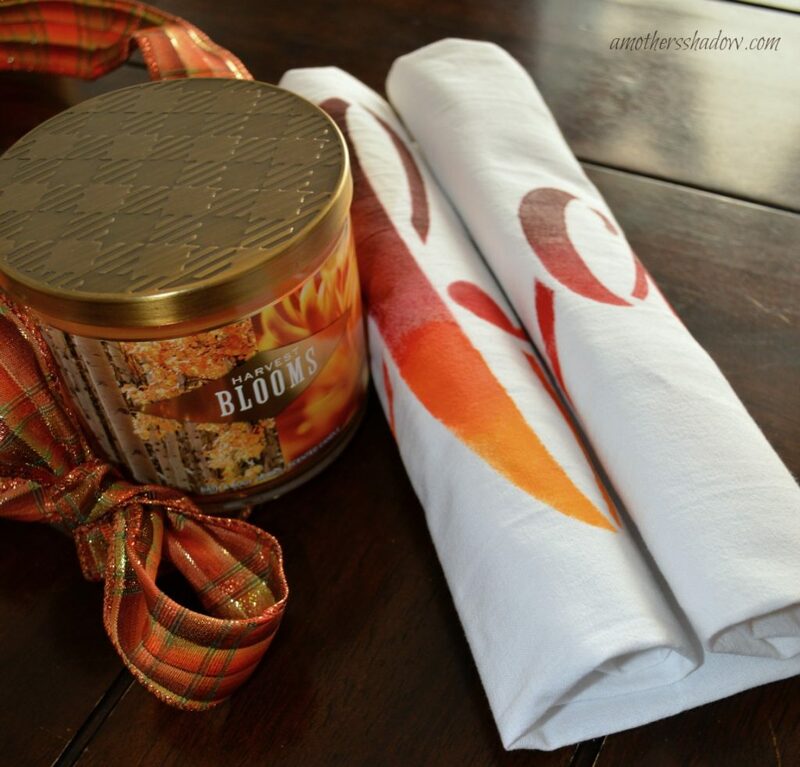 A nice candle with the Unique GRATEFUL Stenciled Towel HERE tucked in a nice gift bag or a basket would be a terrific gift. 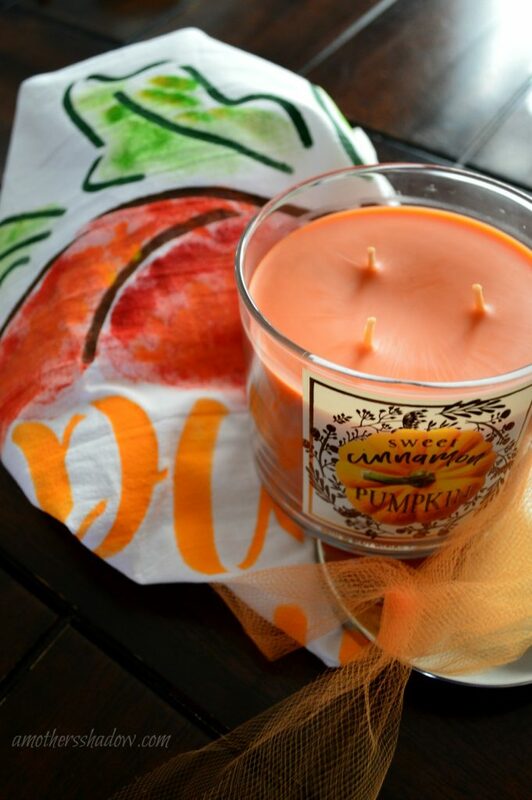 Or the Creative PUMPKIN Stenciled Towel HERE with a Pumpkin Scented or decorated candle in an orange gift sack, or in a pumpkin basket would be fabulous! 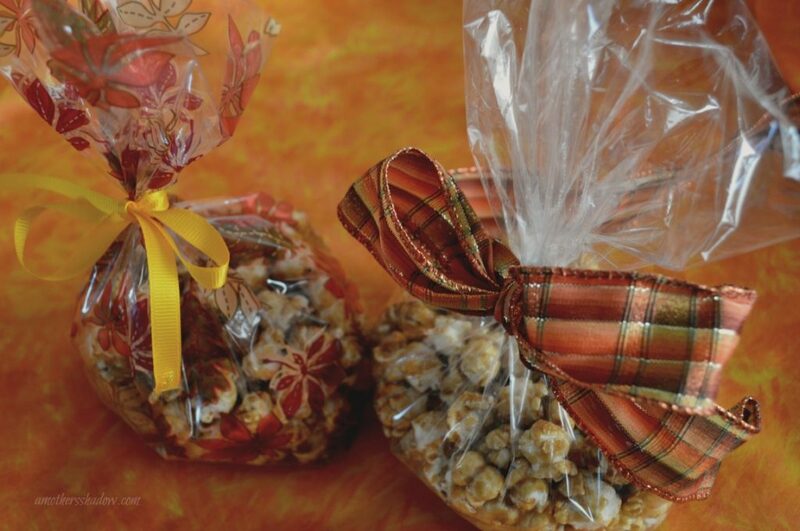 In a clear cellophane bag or a fall themed bag, fill with any one of my popcorn recipes. I have a link HERE with SIX of my most popular Popcorn Recipes that I think you’ll want to make one, or all six of them to take as a hostess/host gift, or to family and friends to let them know how grateful you are they are in your life. 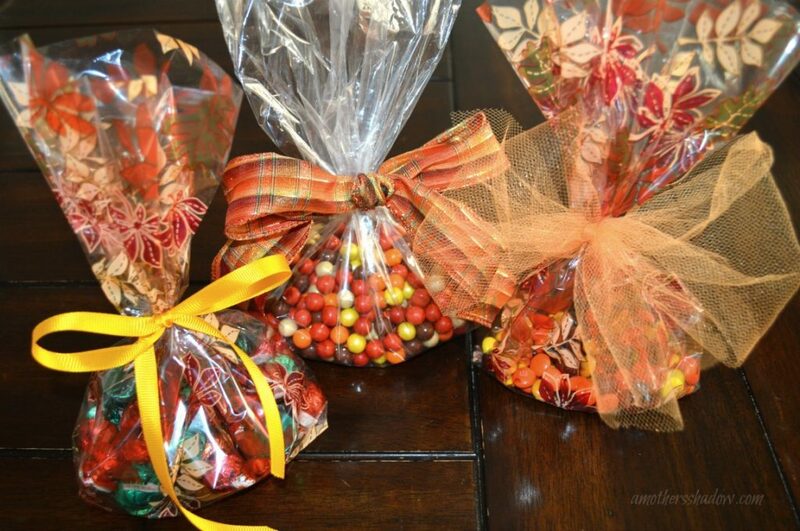 Or you can simply fill the bags with purchased candy. If you can find fall colored candy, such as these here: Hershey’s Kisses, Sixlets and M&M’s that makes it even more fun. Simple is great! 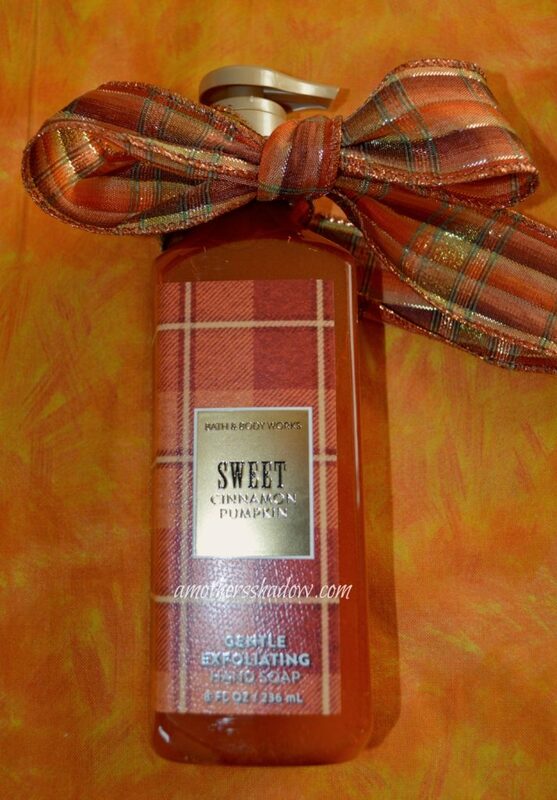 A nice soap with a bow on it is usable and budget friendly. Now if you want to thank YOUR guests for coming, or if you want to take a little gratitude treat to those who will be there, here is an idea. 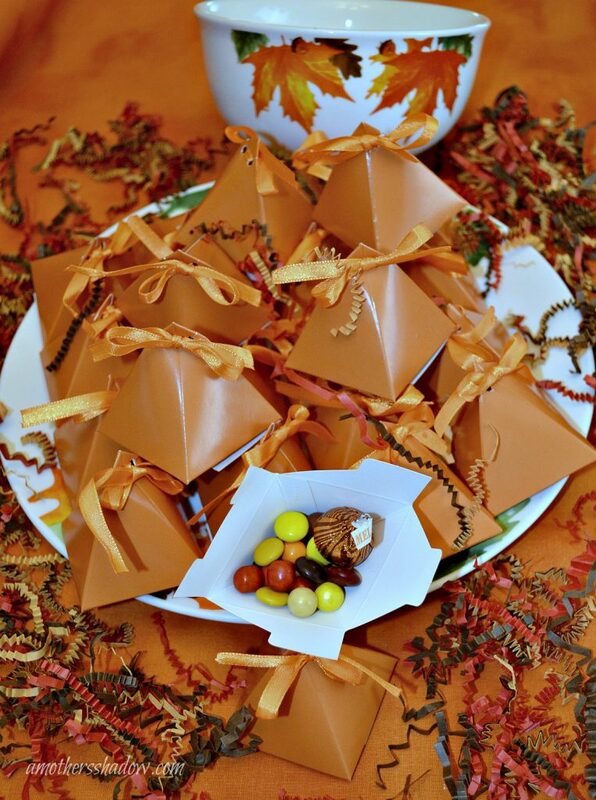 Something like these little triangle boxes hold about 1 full Tablespoon of Sixlet and M&M candies and 1 Hershey Kiss. These could also be NAME PLACE CARDS at the table, or put on a THANK YOU or THANKSGIVING sticker to personalize them.